Like any great story, auto transport got its start in some unexpected ways. Through a series of linked discoveries, with one innovation leading to another, simple inventions became tools for changing the world. Gradually, auto transport vehicles went from blurry impossibilities to distinguished realities. In one of the only examples of true worldwide collaboration, people and countries alike combined their diverse ideas to create this vehicle that is capable of shaping entire nations. 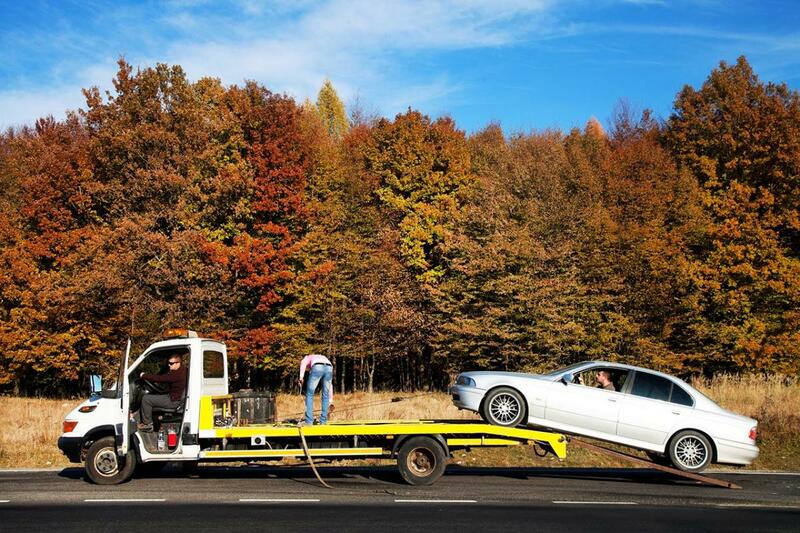 The history of auto transport is not a clean, linear tale. Instead, it coils through many time periods and countries, linking the innovations of great minds from across the world. It did not take the work of a single person to create the auto transport vehicles we know today, but rather a worldwide connection of innovation and discovery that shaped our world. 1670's: While the American colonies were struggling to rise in the New World, one of the first innovations in auto transport history was taking place. It is during this time-period that Ferdinand Verbiest, a Jesuit Priest in the employment of Chinese Emperor K'ang His, was creating the world's first self-propelled vehicle run on steam. The possibilities suggested by this innovation opened a worldwide quest to alter and use this promising steam power. 1789: Around a hundred years after the invention of the first steam-powered vehicle, a patent was given to American Oliver Evans for the first auto transport vehicle. Not long after this, in 1804, Evans had finished the machine, and he demonstrated the uses of the first steam-powered American auto transport vehicle to a crowd of innovation-hungry onlookers. Evans traveled across the Atlantic to share the design, and although Richard Trevithick was able to create a steam-powered carriage, London was simply not well suited to the invention. 1860: As the first sparks of the Civil War were catching in America, Belgian inventor Etienne Lenoir was working on the first internal-combustion engine. This slow-moving auto transport vehicle was powered by coal and led to other innovations worldwide. 1876: In 1876, Nicolaus Otto built the first viable four-stroke engine. This creation was passed to two employees, Gottlieb Daimler and Maybach--a historic move. The two employees ended up starting their own company, which led to innovations on the part of one very famous American. 1880's: Carl Benz, realizing the usefulness and necessity of the previous inventions, created a two-stroke gasoline-powered combustion engine. This led to sturdier designs for auto transport vehicles, making them capable of accomplishing more than ever. Late 1880's: While Mrs. Benz was taking her famous drive to show off her husband's creation, a young man in Pennsylvania made a history-changing discovery: available crude oil that could be burned as fuel. This is a pivotal point in history: the discovery of this usable fuel made it possible for the auto transport industry to function with cost- and time-efficiency. Want to know more? Tune in for Auto Transport History: Part 2, and contact us today for help getting your auto transport set up.